Identify the following images by name of artist or by title if name unknown. What photographs kindled “what is perhaps the largest worldwide public interpretation of photographs? 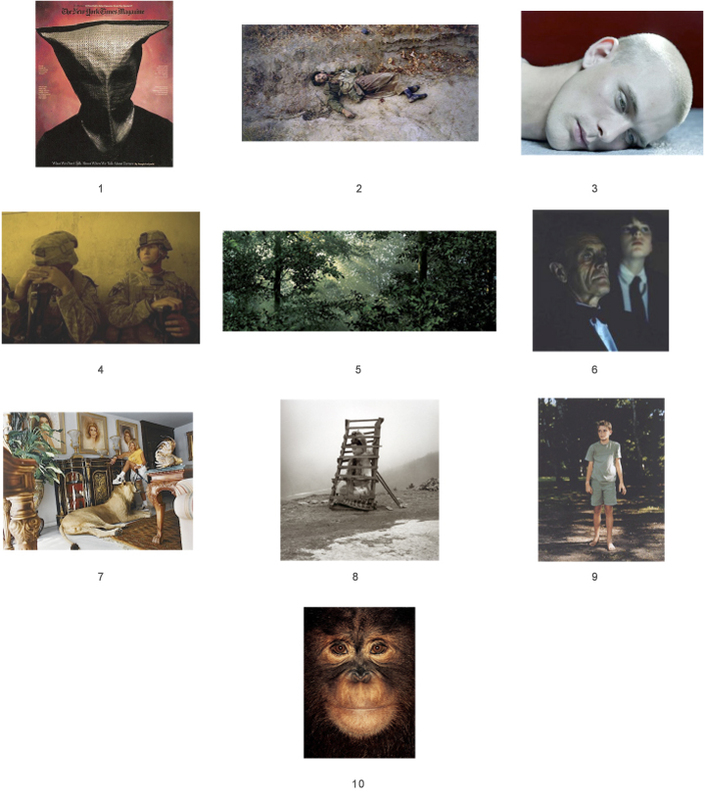 What was the range of views about the significance of what the photographs represented? In what mode and specifically, what technique(s) were used in the making of most of these photographs? What was the initial intent/purpose of these photographs? After an initial fascination, what has the West had to face with regards to photography and globalization? What have the newly seeded questions about globalization revolved around? What has globalization’s shrinking of time and distance created for photographers and artists? How does the “Us and the Other” approach to art and photography continue to be challenged? How has the idea of beauty in art and photography been considered throughout the last quarter of the twentieth century and persisted into the twenty-first century? What did artist/critic Martha Rosler have to say about the debate over beauty? Cite an example of how a photographer, including discussion on specific technique(s), has explored “a post-Postmodern idea of beauty.” What has pinpointed significant divergence within late twentieth-century directorial mode photography? What sources have begun to play a part? What technological development has breathed new life into the simple snapshot? What has this technological development encouraged? What is considered the most profound effects of the waning of analog photography and the rise of digital?